Since 1952 our goal has been to bring you quality workmanship and top notch customer service. We were here yesterday... We are here today... We’ll be here tomorrow! With summer temperatures exceeding 100° F, a good air conditioning system is critical to your comfort. Purl's Sheet Metal & Air Conditioning offers comprehensive air conditioning services throughout the Fresno and Madera, CA area. With 60 years of experience, our technicians can work on any type or brand of air conditioner that you might have. Whether you need to replace your current system or if you just need air conditioning repair service in Fresno and Madera, CA, call Purl's Sheet Metal & Air Conditioning. The Central Valley isn’t known for its freezing winters. But for those of us that live here, we know that the winters can get quite cold. Purl's Sheet Metal & Air Conditioning offers complete residential heating services throughout the Fresno, CA area that are backed by our 100% satisfaction guarantee. Contact Purl's Sheet Metal & Air Conditioning for all your heating needs in Fresno. At Purl's Sheet Metal & Air Conditioning, we have a complete sheet metal workshop in our 31,000 square–foot facility. We offer a full range of quality custom sheet metal products with high volume capabilities. From standard items like flashings and industrial piping, to custom work like copper or stainless steel hoods, our sheet metal fabrication specialists can do it all. We love helping our customers make their visions a reality. We have advanced CNC machines to make custom roofing products, specialized ductwork and more. We love working with our customers to come up with ways to fabricate products that meet their needs and exceed their expectations. Purl's Sheet Metal & Air Conditioning offers quality rain gutter services in Fresno, CA. Our expert technicians will fabricate your rain gutters on–site to fit exactly to the measurements of your home. Choose from 29 colors! They are one continuous piece from corner to corner. This is perfect for replacements or for new construction projects. We also provide clean and professional downspout installation services as well. Give us a call today to learn more. At Purl's Sheet Metal & Air Conditioning, we know that the climate inside your business is critical to your success. That’s why you want to make sure that your commercial HVAC system is properly installed and is in good working order. The licensed and certified Fresno and Madera commercial HVAC technicians at Purl's Sheet Metal & Air Conditioning have 60 years of experience working with all types and brands of commercial HVAC equipment. In addition to that, we offer custom design–build HVAC services for replacement projects and new construction. We also work with highly specialized climate control systems like those used for expensive computer and server rooms. If you need commercial HVAC services for your business, Purl's Sheet Metal & Air Conditioning is the company to call. Many homeowners wish that the humidity were a bit more balanced during the summer and winter months. Perhaps you would like to get rid of the funky smell you've been noticing Let us help. We offer outstanding indoor air quality products and services throughout the Fresno and Madera, CA areas. From the installation of whole–house air filtration systems to repairing humidifiers and dehumidifiers, our technicians are available. We also offer dryer vent cleaning and air duct cleaning. Purl's Sheet Metal & Air Conditioning provides sheet metal fabrication and air conditioning services to the Madera and Fresno, California areas. When you work with the team at Purl's Sheet Metal & Air Conditioning, you know that we will be able to handle every aspect of your heating and cooling needs. 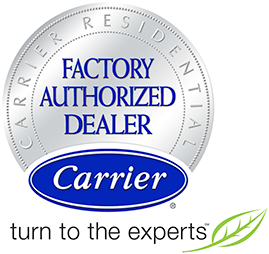 We are also a Carrier Authorized Factory Dealer, which means that we work directly with the manufacturer to ensure that our clients receive the very best equipment and that it is installed to the very highest standard. Carrier is a trusted name in this industry, and remains widely known for its technological innovations and reliability. Let us help you find the right HVAC system to keep your home comfortable in every season. Before you switch on your AC for the hot weather, go over these recommended steps. Are you just stuck with a stuffy and warm upper floor? There are ways to fix this problem, and you can count on our professionals to help you discover what needs to be done.